I did get the quilting finished last night, as well as the attaching of the binding to the front. A few inches hand sewn to the back, while waiting to ring in the New Year. The batting is wool, the thread is Superior Threads So Fine and Bottom Line. 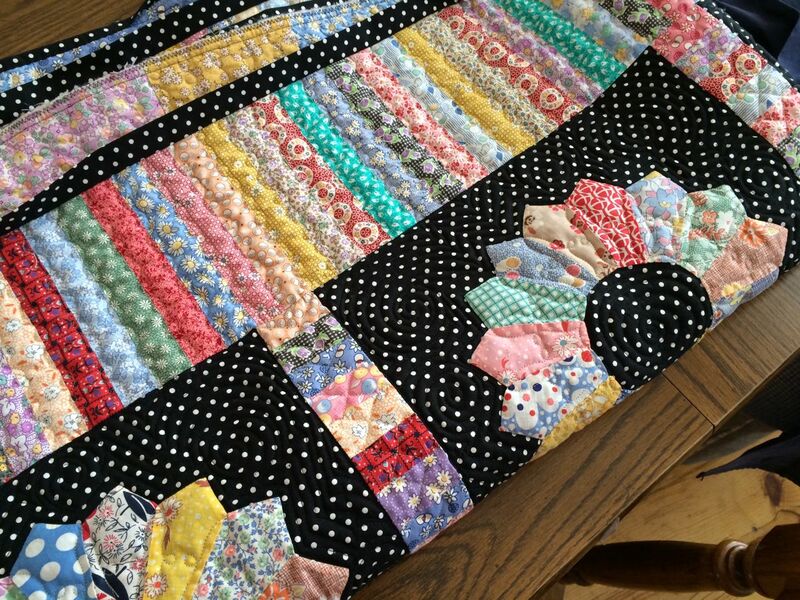 I think this quilt will probably end up hanging on a wall, I don’t want the dogs or the humans anywhere near it. 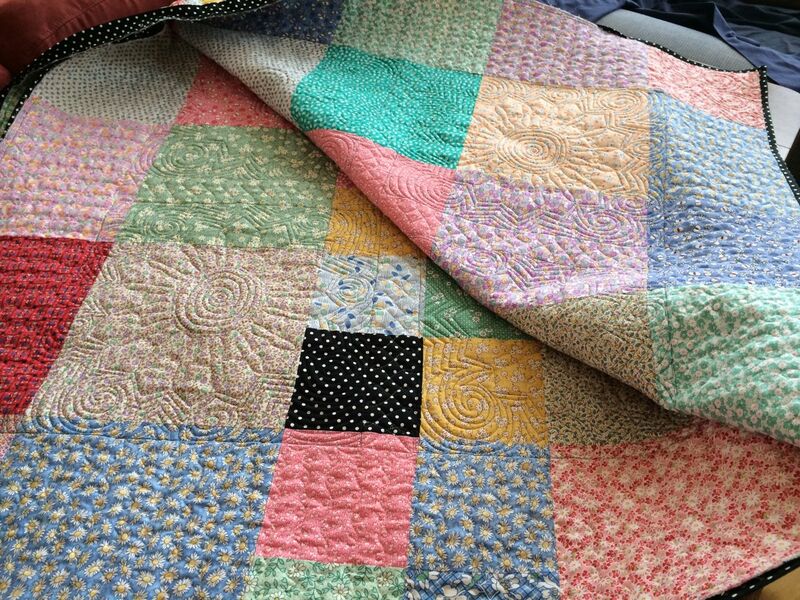 The quilting is pretty simple, and mostly gives it texture, you can’t really see any of it unless you are up close. The back is made up the leftovers from the repro 30s prints I used on the front. 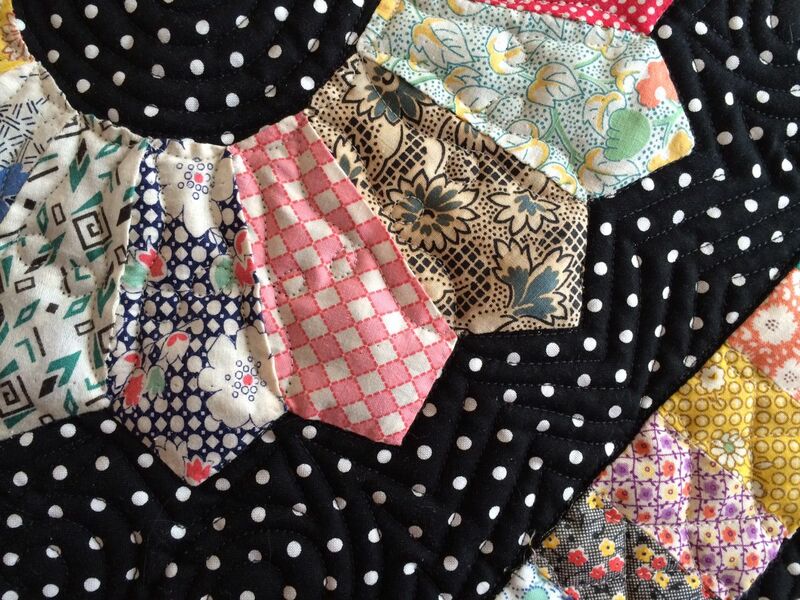 I started with big squares, but ran out, and had to sew up some smaller squares, too. I’m very happy with how it turned out, and not surprisingly, finishing something that I’m happy makes me want to make more. I have to be careful not to go overboard with starting all the things. Now I just have to figure out what to do with the other 20 plates that I still have in the pile! 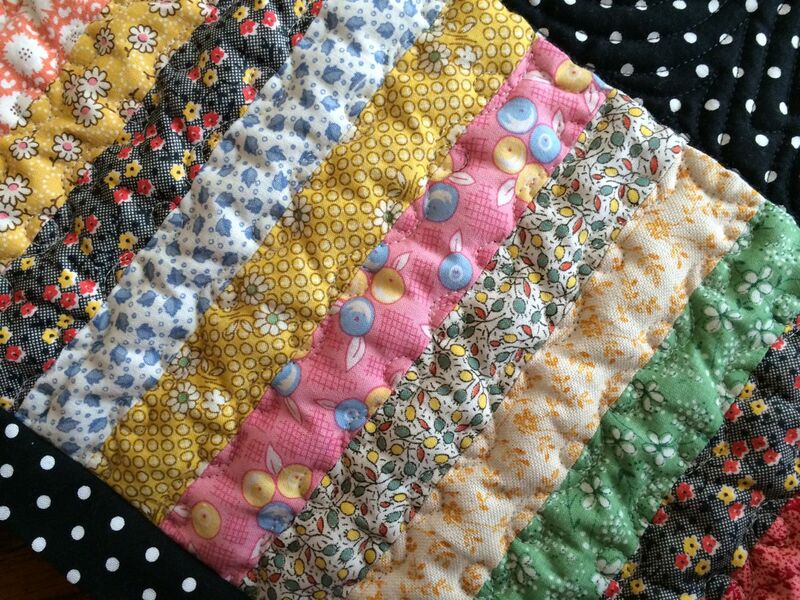 Very cute quilt, Suzanne. 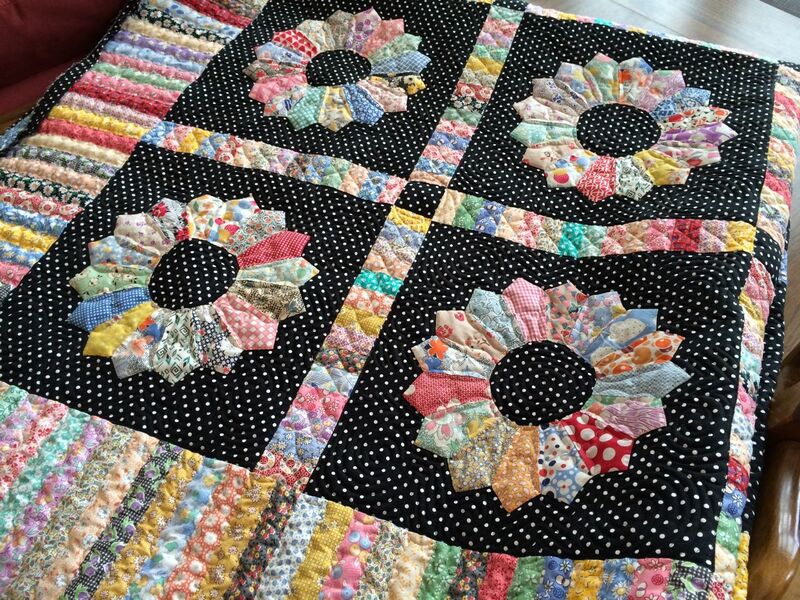 The quilting looks quite nice. I’m glad to see you get back into some quilting. 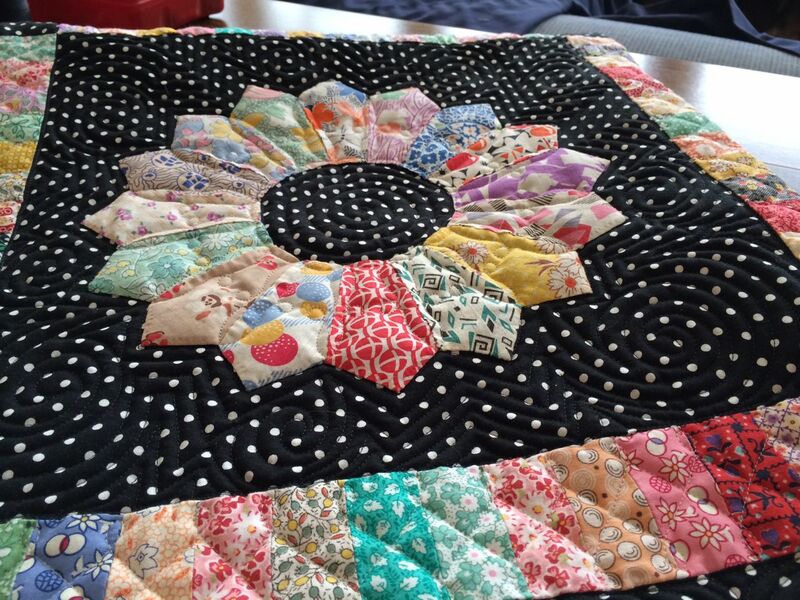 The quilt turned out pretty.. I had my doubts when you wrote about the black dot background to the the plates, then I saw the first block. I was then OK with your idea. 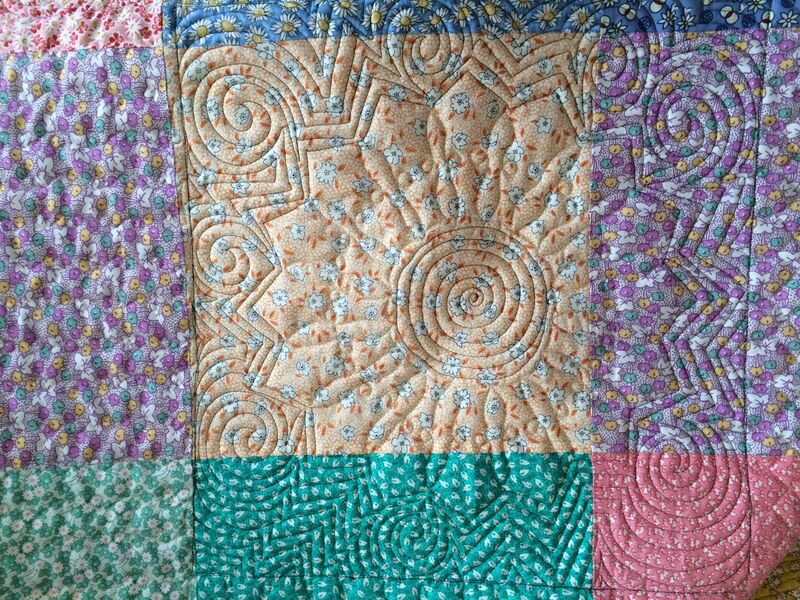 Now that I see the finished quilt I can’t think of any fabric that would have been better. 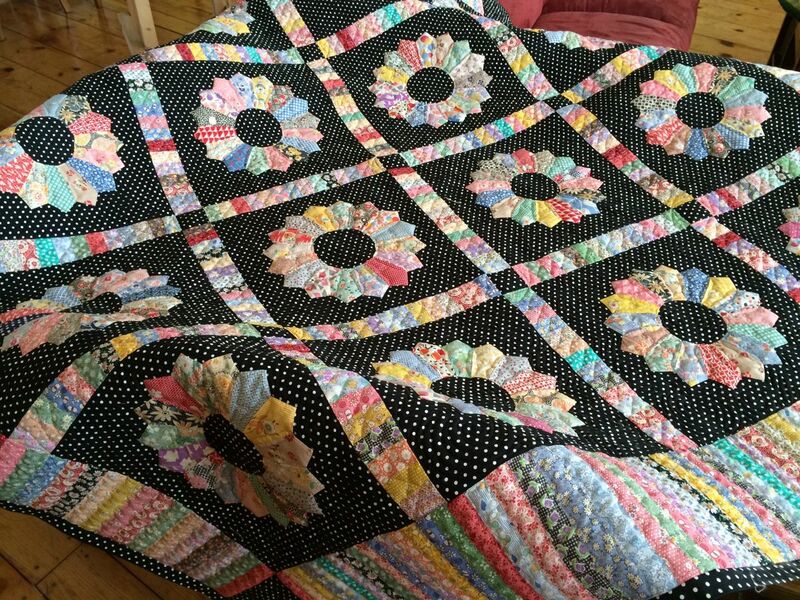 Suzanne, this quilt is just beautiful! How pleased the original sewer would be to see what happened to her plates. Good for you, using more of your talents. Okay, how about doing another one just like this one for the Ambrose Family Benefit, and the BASIC kids could sell raffle tickets at $5 per ticket, or 3 for $10 (I would buy 3.). Easy for me to say, as I can’t imagine how much work this was!